Models are made of resin, hand-assembled, hand-painted. Details include recessed windows and balconies, solid brass propellers! Comes in display case with wooden base onprotective pads, solid brass mountings, name/data plaque, and clear acrylic cover. Scale 1:900. Size: Model length - near 13". Case length - 16 " at the base. 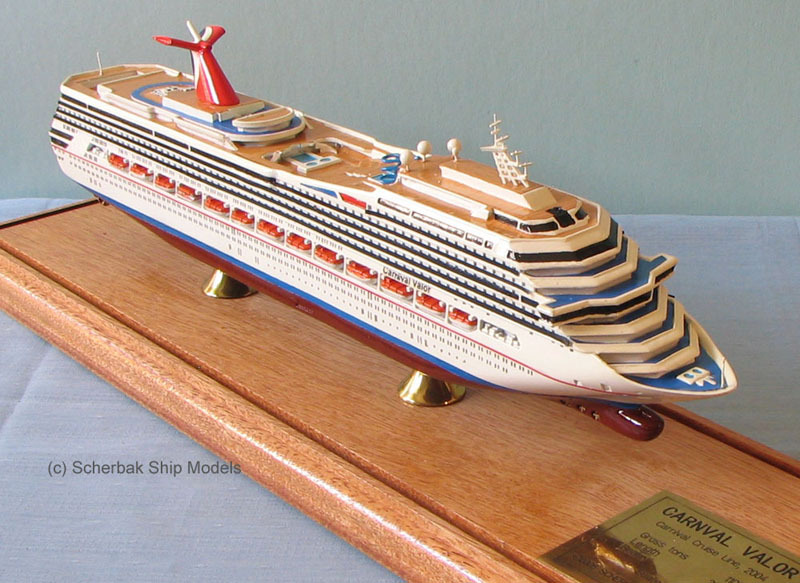 What can be a better gift for your Cruise Wedding or Honeymoon Cruise than a precise cruise ship model of your Happy Ship? If you celebrate your Wedding Anniversary or any other Special Occasion onboard – there is no better present than a model of your cruise ship that will bring back memories of your wonderful event at sea.